I might not have realized it at the time, but I have come to see a parallel between the experience of working on Wolf’s design for a recent episode of Property Brothers – Buying and Selling, and a scene from the film Hoosiers. In the film, basketball coach Norman Dale ushers his small-town team into the arena where they will be playing for the state championships. The stadium is enormous. The lights are bright and the rows of seats climb up from the floor almost out of sight. Coach Dale takes out a measuring tape and measures the length of the free throw line, and the distance from the basket to the floor to demonstrate that they are the same as in their home gym. He reminds his team that no matter how much bigger the hall was, the fundamentals hadn’t changed. The audience with Property Brothers was much greater than in our traditional projects, but our team’s goal is always to help designers create spaces for their clients that improve function and aesthetics – the fundamentals didn’t change. • We respond clearly and quickly to our customers to keep things moving. • We make sure that everyone who should know the details, knows the details. • We explain the ‘how’ and ‘why’ of our decisions. • We manage expectations by letting our customers know what we will be doing or delivering, and when. 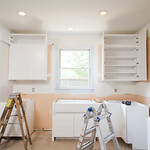 Clear communication like this goes a long way to avoid misunderstandings, and we were able to succeed in this throughout the Property Brothers – Buying and Selling project, even with the tight deadline of having two weeks to assess their needs, match our products to the space, and deliver the materials. That clear communication went both ways in this case: the show producers provided detailed elevations and floor plans, so I was able to easily determine their overall design concept and how Wolf could work with Property Brothers to come up with a design using Wolf Classic cabinets that fit the space. 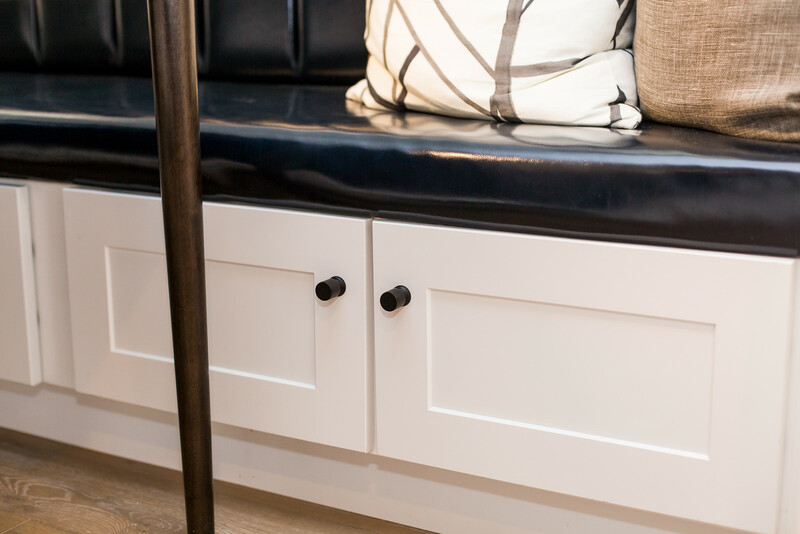 In this specific case, the original banquette seating area design included single drawer base cabinets, which are not part of the Wolf Classic line. But, I was able to slightly modify refrigerator wall cabinets to keep the overall look and storage component very comparable. We arrived on the same design page well within their deadlines and got the appropriate materials and products on the road to them quickly. As we’ve said many times, it takes an extensive network of committed people and ready resources to create solutions this quickly. In a designer’s day-to-day activity, these resources may not be easily accessible. But, Wolf was able to provide a fast, efficient and fashion-forward solution that is available not only to the “big-league” customers, but also to our network of designers and dealers across the country with whom we work every day. Are Light or Dark Cabinets Right for My Space?